We proudly recommend American-made Elkay sinks! Additionally, their faucets come in beautiful finishes to coordinate with your sink, and offer convenient features that make tasks more effortless. 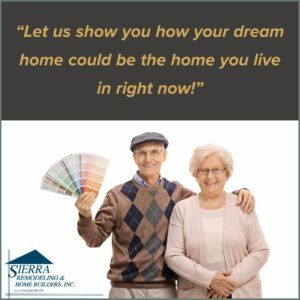 Sierra Vista, Arizona or give us a call at (520) 459-3164. From traditional décor to cozy urban design, fireclay sinks have timeless appeal. They offer long-lasting durability and shine. Molded from fireclay with an attractive porcelain glaze, they have a nonporous, smooth surface. Available in undermount and farmhouse. Farmhouse models are reversible style, offering the option of a traditional flat front or a decorative bar feature. Dense material naturally reduced sound and condensation. Sinks use standard drain fittings. Prepare food and drink for guests from the convenience of your one-of-a-kind outdoor sink. Crafted of corrosion-resistant Type 316 stainless steel with a beautiful and durable Lustertone finish, your dream outdoor kitchen comes to life with help from Elkay’s custom team. Visit the Sierra Remodeling showroom floor and, learn more at http://www.elkay.com/custom. Get ready for a whole new experience in quartz sinks. Elkay Quartz Luxe is exceptionally tough, silky smooth to the touch, and features rich, bold colors that make a statement. The difference is in the details! Quartz Luxe sinks are constructed through a proprietary manufacturing process that combines natural quartz with high-performance, UV-stable acrylic resins. Organic fibers are molded into the sink for added impact resistance. For additional support, patented fiberglass webbing is molded onto the underside of the sink, reinforcing the work zone. Available with the Elkay exclusive Perfect Drain in extra-large single bowl and farmhouse styles. Visit our showroom and learn more about our Elkay Quartz kitchen sinks! I am very happy with the job well done by all the workers. They are so professional, fast and clean. I want you to know that your crew is the best (outstanding). I want to thank Mr. and Mrs. Long for their vision and experience they applied to my house. It now looks beautiful, clean and fresh. And of course the carpenters were very, very professional; the painters Ken and his son Adam thanks for all the hard, clean, professional jobs and Lalo, the guy who came and finished this job, thank you! This is our first experience working with your company. We are looking forward to you doing our next project in the future (our kitchen). Mr. Long is a very good helper doing this job. Thank you!